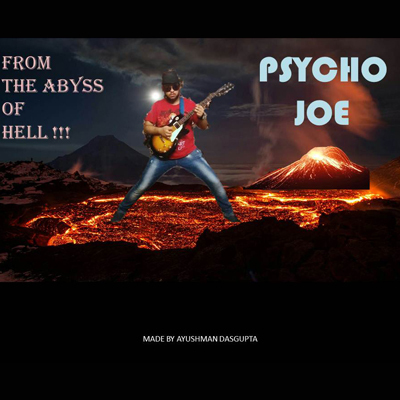 Ayushman "Psycho Joe" Dasgupta is a 19 year old Alternative Indie musician. His works often incorporate and fuse elements inspired from a wide variety of genres such as industrial, metal, hiphop, rock and punk and while his music cannot strictly be categorized into any one particular genre as such his works can to some extent be described as a crossover between Rage Against the Machine, Metallica, Wu tang clan and Slim Shady era Eminem. The listener shall be the judge. The most attractive feature of Psycho Joe's music is his loud, aggressive, overthe-top "psycho" flow with catchy, funny and sometimes socio-political lyrics rapped over raw heavy, hard and grinding beats. Most of his music is recorded in a little room in a little apartment with cheap but decent eqipment often naturally resulting in a lofi yet heavy and raw, "garage" type sound.